Join over 200 primary and secondary level projects designed and facilitated by teachers and students. In addition to meeting curriculum needs, projects must answer the question, "How will this project improve the quality of life on the planet?" 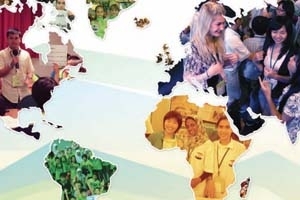 This vision and purpose is the glue that holds iEARN together, enabling participants to become global citizens who make a difference by collaborating with peers around the world. Visit the iEARN Teachers Forum and Youth Forum to meet, share ideas, make announcements, and find partners. Click here to view this year's iEARN Project Book online.